Hiland Hall Turner Architects, P.A. is a premier, dynamic, growing firm, maintaining an office in Bernardsville, New Jersey, and has been engaged in the practice of architecture since 1989.The NJ based architectural firm has been featured in national publications, awarded for its sensitive and restorative architectural designs to historical residences by local and national chapters of the National Society for Historic Preservation and awarded on the state and local levels by the American Institute of Architects (AIA).Luxury NJ Architects, Hiland Hall Turner Architects, prides itself on meeting the goals and needs of its clients while finding creative solutions with superior design, often researching and implementing new technologies when appropriate. Mr. Turner is a third generation architect. He is a graduate of Cornell University and a member of The American Institute of Architects (AIA). 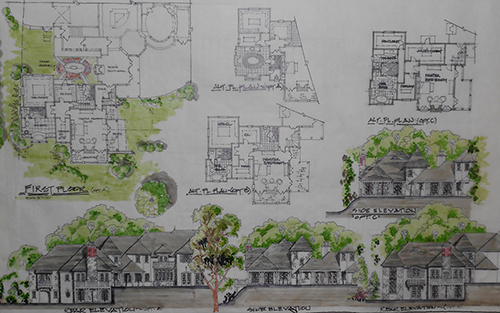 Nationally recognized for his designs, Mr. Turner’s work has been featured in local and national publications, and has been honored by local and state chapters of the AIA for homes and additions of inspired design and elegance.